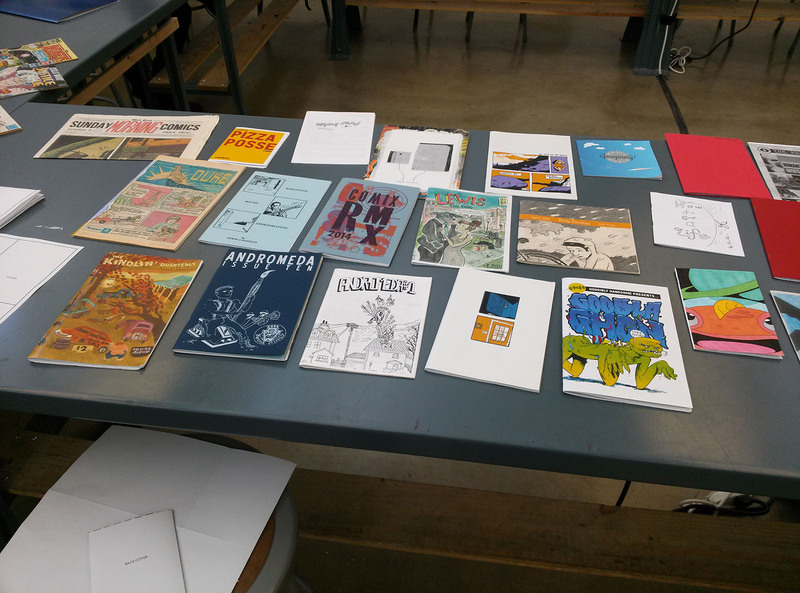 On Saturday April 18th, I hosted a mini-comics workshop for area high school students. 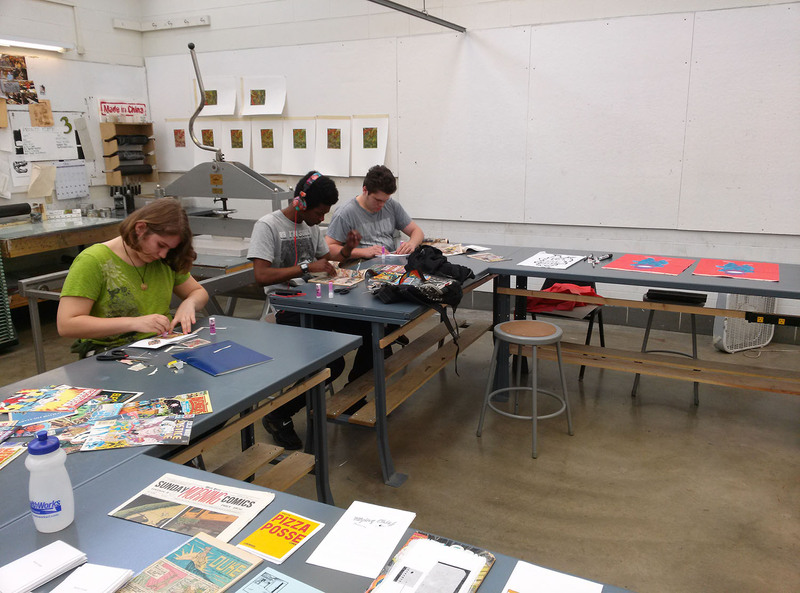 This workshop mimics the workshop I have taught at the University of Kansas and Murray State University. We had students from Mon County and from Pittsburgh attend the event. It was a lot of fun, and some good comics were made! 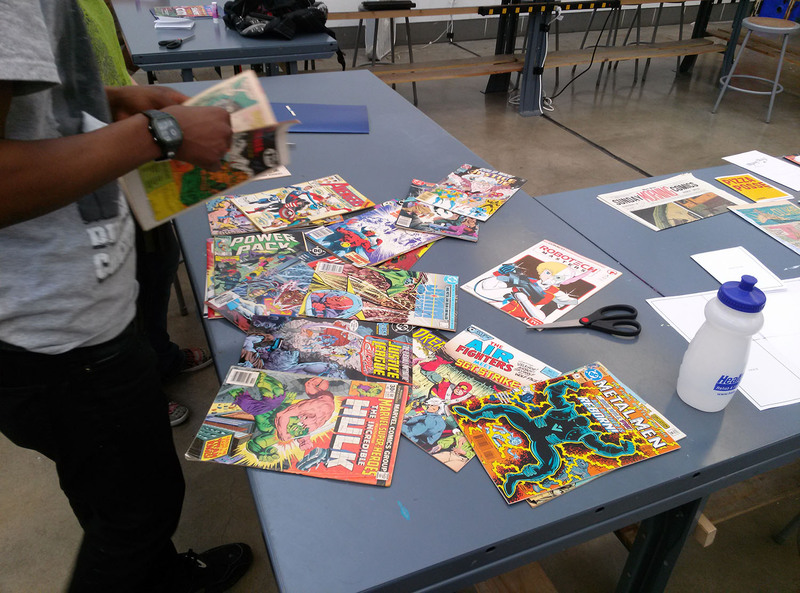 During the workshop, students are challenged to make a new, 8 page mini-comics from old comics. They have to cut up and reconfigure what already exists. They aren’t allowed to draw or write anything new.